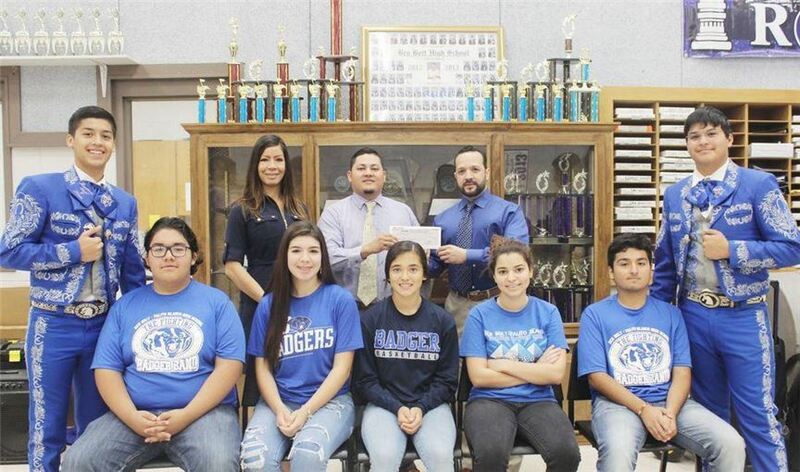 Performers of Mariachi Azul Y Plata from Ben Bolt - Palito Blanco High School reached out to IBC Bank-Zapata and IBC Bank-Zapata Chairman of the Board Renato Ramirez for help in purchasing much needed uniforms. IBC Bank-Zapata donated $1,500 and Ramirez and his wife Patricia Ramirez matched the donation to help the students. Javier Ramirez presented the school with a $3,000 check on October 10.